What Camp Means to Me – A Camp Staff Perspective. When asked what camp means to me, I become overwhelmed with the amount of thoughts that pertain to what Camp Henry has provided for me. Whether it's opportunities to try something new to being zany in outrageous costumes, I am given the appropriate amount of freedom while being taught lifelong lessons like communication, honesty, and respect. What most people in today's society don't realize is that with our advanced technology and crazy busy schedules, we don't know how to communicate with others effectively- let alone to stop, take a breath of fresh air, and take notice of our surroundings. One thing that comes to mind while being at camp is that it gives me the appreciation for little things- waking up to a gorgeous lake view, singing by the campfire, etc. We often get caught up in our busy daily schedules and sometimes forget about the little things, such as the small ant on the ground, the bird chirping in the tree, or the squirrel scurrying with a nut. They are a valuable part of creation and truly make the world a better place. Unfortunately, these things get lost as we hurry from place to place, going about our daily routines. But they are parts of our life that are even more valuable than our hair appointments, work deadlines, and car problems. They are the simple things, which God made for us to care for, enjoy, and appreciate. Matthew 6:22 explains, "The lamp of the body is the eye. If, then, your eye is simple, your whole body will be bright..." Having a simple eye means keeping our life uncomplicated and having a healthy outlook. Camp has taught me that this way of viewing life can allow for glimpses of our extraordinary God, and we can catch traces of his imprint everywhere in creation if we simply take the time to enjoy it. If you are anything like me, you might have had a tough time sitting through church as a kid and you couldn't quite make the connection of how any of it related to you. The good news is that many camps today focus on faith and can be an opportunity for a child to really learn and grow in an accepting environment. There are many different reasons for choosing a Camp with a focus on faith but a lot of the data suggests that parents view camps as an integral part of their child's faith development. A lot of parents are thankful to have yet another avenue to expose their child to certain beliefs and to staff who are thrilled about sharing their views in a respectful way. Much can be gained from the fantastic relationships campers are able to develop with their counselors and the great thing about camp is that it is relevant to the child and their way of thinking. In fact, many camps go beyond just having a chapel time or a certain chunk of the day that is specifically devoted to faith discussions and are utilizing methods that incorporate faith and fun. 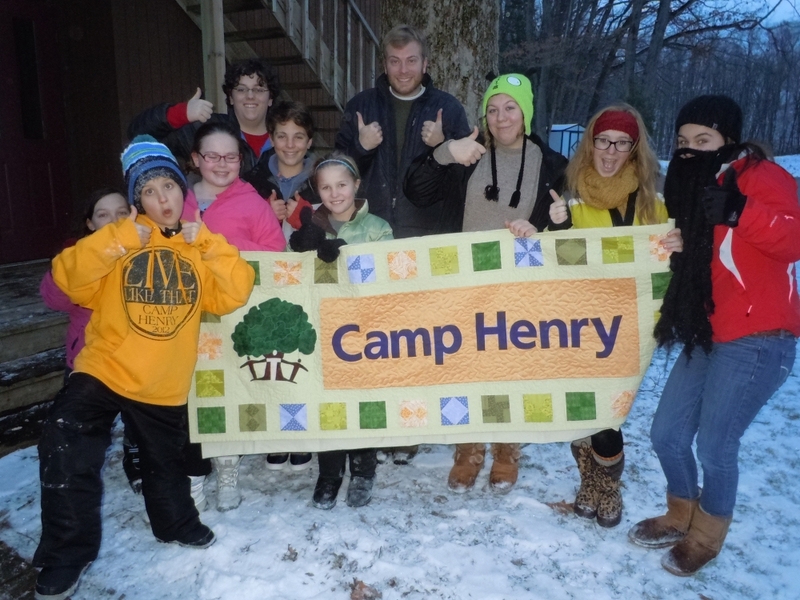 A great example is how we operate at Camp Henry. As a Christian camp, we believe that everything we do at camp should be an example of our faith. We search out teachable moments and do all that we can to make no distinction between faith and fun. We firmly believe, along with many other camps in the industry, that campers can explore and experience spiritual truth in everyday activity. Being a welcoming and inclusive camp is what we're all about! We appreciate and value that campers come to us from all sorts of faith backgrounds, and many from no faith background whatsoever. We truly believe that the best way to learn about what it means to be a Christian is for campers to have a chance to see it modeled before them – in how we treat them, interact with one another, serve, etc. And the beauty of it is, we always end up learning so much from our campers as well. God's love for all of us is a key message we try to convey and are excited to share. Certainly, all camps are purposeful with the activities they provide. Elements and facilities aren't just in place for kids to have a blast – as camp staff, we hope that the child will learn, challenge themselves, become more appreciative and understanding of the world around them, and explore their faith in new and relevant ways. Choosing to send your child to a camp that has a faith focus can be another great tool for helping them learn more about their faith and in helping them make their faith their own. New Year’s Eve Camp Highlight Video! New Year's Eve Camp Highlight Video! We had a blast at New Year's Eve Camp! Thanks to all the campers and staff that came to welcome in the new year with us. Enjoy! Greetings from the shores of old Lake Kimball! Part of our New Years plan at camp was to start this blog for all you guys- so here it is! Camp has served as that perfect get away from our everyday routines and an even better place in getting reacquainted with our faith and making everlasting memories. We certainly do miss seeing all of your bright and smiling faces here so with this, we want to continue it by providing more opportunity to stay connected throughout the year. Whether it be announcing our next Camp Henry Live event, sharing a campers story or a devotional, we will update this frequently so you can see what is happening with Camp Henry!